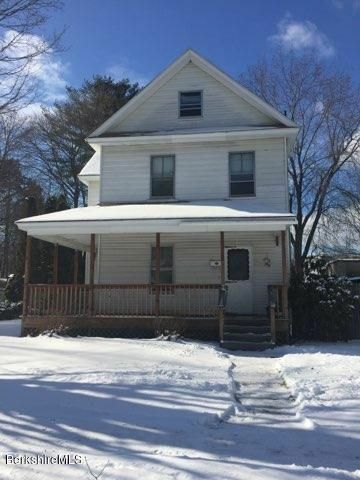 Updated spacious colonial with front and side porches on a quiet street. 3 bedrooms, 1.5 bathrooms. Updated eat-in kitchen with light cherry cabinets and moveable island. New hard wood floors in the extra large living room/dining room. One car detached garage. Above ground pool with deck in private fenced in yard. This house is a must-see! !